Given the average hotel room can run over $100 a night — and easily twice that in more expensive cities — the idea of a recreational vehicle (RV) or motorhome can seem like a great way to vacation without the extra cost. Unfortunately, RVs aren’t exactly inexpensive themselves, with prices of $50,000 to $100,000 not uncommon for new models and even used, non-motorized campers easily going for at least a few thousand dollars. Plus, there are a lot of associated expenses that can further inflate the cost of ownership (like paying for somewhere to park). All this means that, regardless of why you want an RV, the how will generally mean financing. Finding any kind of financing with bad credit can be a challenge, but things considered to be frivolous, like RVs, can be especially difficult. As with many types of financing, however, a good down payment may make all the difference. Depending on the type of recreational vehicle you wish to purchase — and how much it costs — a personal installment loan may be an option. Personal loans typically range from $500 up to $35,000 for well-qualified applicants, however, so they may only be an option for used and/or smaller RVs or non-motorized campers. The amount of financing you are able to obtain through a personal loan lender will vary significantly with your credit profile. One of the easiest ways to get multiple quotes and compare offers is to use an online lending network like our expert-rated picks below. In most cases, it’s better to use dedicated vehicle or RV financing when possible, as these types of loans usually have much lower interest rates than personal loans. If you do choose to use a personal loan to purchase an RV, be sure to pay off your loan as quickly as possible. While longer-term loans can provide a lower monthly payment, they’ll also have a higher overall cost thanks to the additional interest fees. If you own your home and have built up home equity, you may have the option of using a home equity loan or home equity line of credit (HELOC) to purchase a recreational vehicle. Essentially, the equity you have in your home is the difference between what your home is worth and how much you currently owe on your mortgage. Since the equity acts as collateral for the loan, your credit score will have less (though not zero) impact on your ability to qualify. Most lenders that offer mortgage loans will also offer home equity loans, including some of our favorite online lending networks. Although you won’t generally need a down payment for a home equity loan or credit line, there may still be some processing and origination fees. Read your agreement carefully before signing to ensure you understand what costs are involved and when payments will need to be made. Be careful to avoid missing payments and falling behind on your home equity loan or credit line. Your home is the collateral used for the loan, so you could wind up in foreclosure if you fail to pay your home equity loan as agreed. Given that most major banks are household names, it’s likely the first place many of us consider when looking for a loan. However, not every major bank will offer loans for specialty vehicles like RVs and campers. Big banks also tend to have higher credit score and down payment requirements than other lenders. U.S. Bank offers recreational vehicle loans for all classes of motorhomes, travel trailers — including large fifth wheels — as well as pop-up and truck campers. Qualified applicants can obtain RV loans in amounts of $5,000 up to $150,000, though you’ll likely need a substantial down payment to receive the maximum amount. Applicants can receive a same-day credit decision. SunTrust has two RV loan products: a Motorhome and RV Loan, and a LightStream RV Loan, though LightStream loans are designed for borrowers with good to excellent credit. Motorhome and RV Loans from SunTrust can be obtained in amounts from $55,801 to $1,500,000, but those with poor credit are unlikely to qualify for the maximum amount. Class A, B, and C conversion vans and motorhomes can qualify. 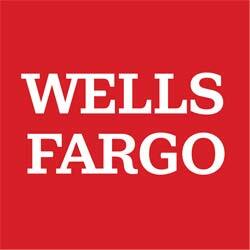 Wells Fargo can provide financing for a variety of specialty vehicles, including offering RV loans for campers, motorhomes, travel trailers, tent trailers, mini-motorhomes, folding trailers, toterhomes, and toy haulers. Specialty vehicle loans are secured loans, with fixed interest rates and funding in as little as one business day. Loans have no prepayment penalties. If you don’t qualify for an RV loan from a major bank, you may want to look into local credit unions or smaller community banks. These institutions typically have more relaxed lending requirements than larger banks, and they may be willing to work with you. Your ability to qualify for RV financing through a dealer will depend a lot on your individual credit risk, the dealer, and the size of your down payment. Dealers may require smaller down payments than banks, but they will still likely require at least 10% to 20%. NoCreditCampers.com works with over 500 lending partners to help those with poor and limited credit buy RVs. The site hosts an online RV mall with an extensive inventory of recreational vehicles for sale. Users can fill out an online application for financing to make a purchase. If approved, funds are typically dispersed in 24 to 48 hours. Buyers can pick up their vehicle or have it delivered. Camping World is an all-around outdoor supply company that also offers a recreational vehicle marketplace with dozens of dealers around the country. Buyers who need financing can fill out an application through the Camping World website, but individual financing options will depend on your credit profile and the specific dealer you select. General RV Center only has around a dozen locations across the country, but its online recreational vehicle marketplace offers both used and new RVs for sale. The company also accepts RV trade-ins, as well as offering RV rentals and service. General RV works with national banks, regional banks, and credit unions to help buyers find financing even with bad or limited credit. Make sure you know all the possible fees you’ll be charged when purchasing an RV online, particularly if you plan to have your purchase delivered. Additionally, some dealers may require you to purchase or have insurance on the RV before you can complete your financing agreement. Although many like to view RVs as hotel alternatives, the numbers will likely only really add up for frequent travelers thanks to the $50,000 to $100,000 price tag carried by the typical RV — enough to buy an actual house in some areas. If you can justify the cost with savings in other areas, however, the investment may be worthwhile. Of course, that investment will require financing for most people. With poor credit, finding financing will be exceptionally difficult for a recreational purchase (and RV has “recreational” right in the name). Even if you do find RV financing with bad credit, you should carefully consider whether the potential credit and financial impacts are worth it before taking on such a large debt.